Back when I was a lad walking to school uphill in the snow both ways, cars knew their place. 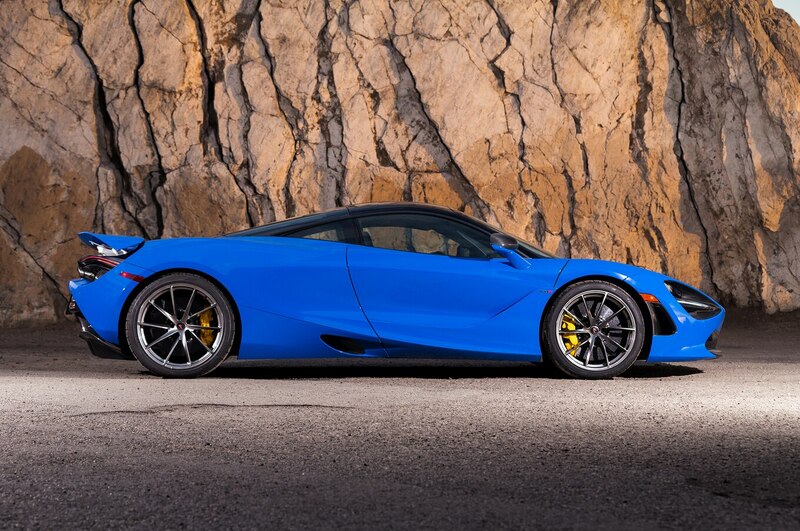 A sedan is what you drove to work because life was dull, a sports car was a silly, useless little thing, an SUV had solid axles (and not much else), a supercar was little more than bedroom wall fodder, and the term “hypercar” was just a glimmer in some marketer’s eye. These days? Fuhgeddaboudit. 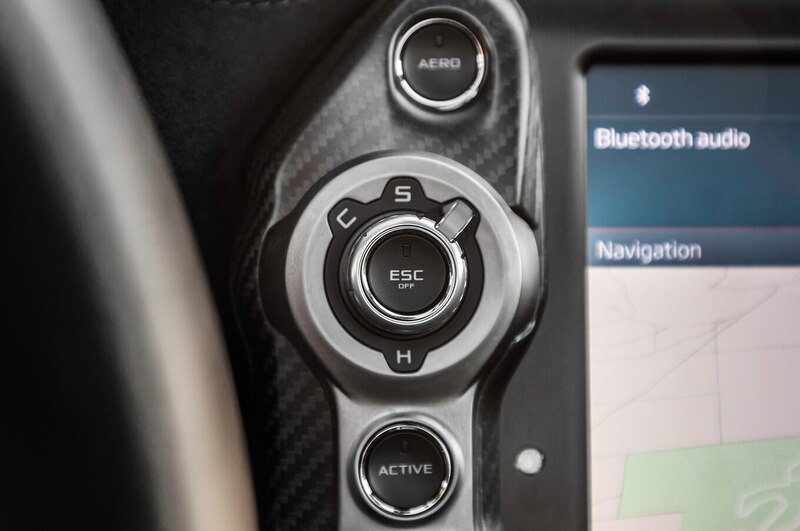 Bentley’s got an SUV with 77 acres of leather, two forests worth of wood paneling, a $250,000 USD clock, and the ability to travel at 190 mph (305 km/h). We just tested a sedan—the sinister Mercedes-AMG E63 S 4Matic+—that not only runs 11.2 in the quarter mile but also comes complete with a perfume dispenser. Not joking. 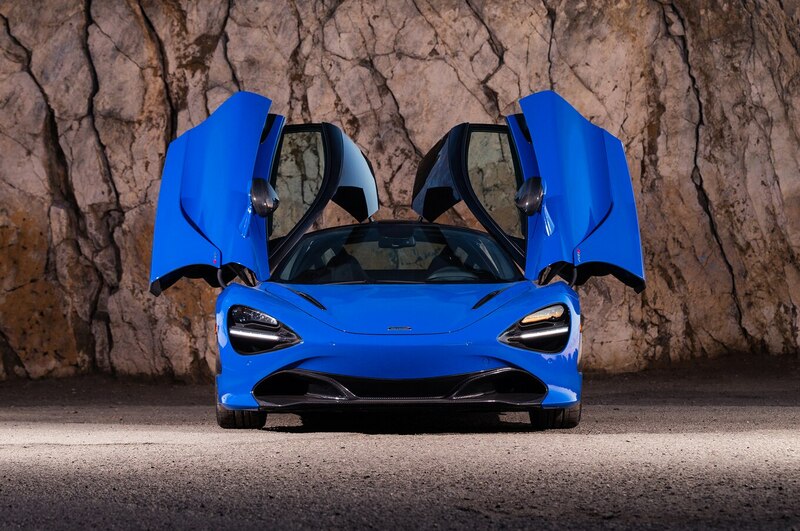 Now we’ve got the McLaren 720S: a run-of-the-mill supercar by the look of the spec sheet but one that behaves just like hypercar. What’s the world coming to? Let’s enjoy a quick look at said spec sheet together, shall we? 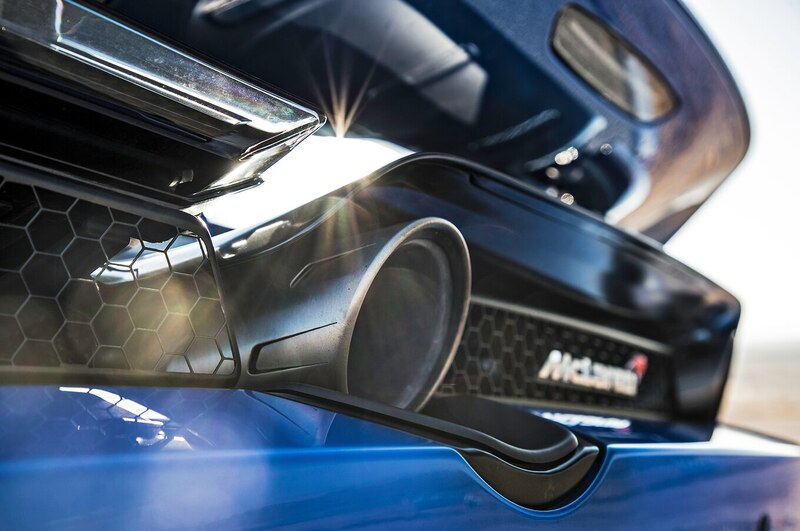 Behind the carbon-fiber passenger cell (called Monocage II) sits a 4.0-liter twin-turbo V-8, a slightly bigger version of the 3.8-liter TT V-8 that’s been in every McLaren since the MP4-12C. Said engine is good for 711 horsepower and 568 lb-ft of torque. 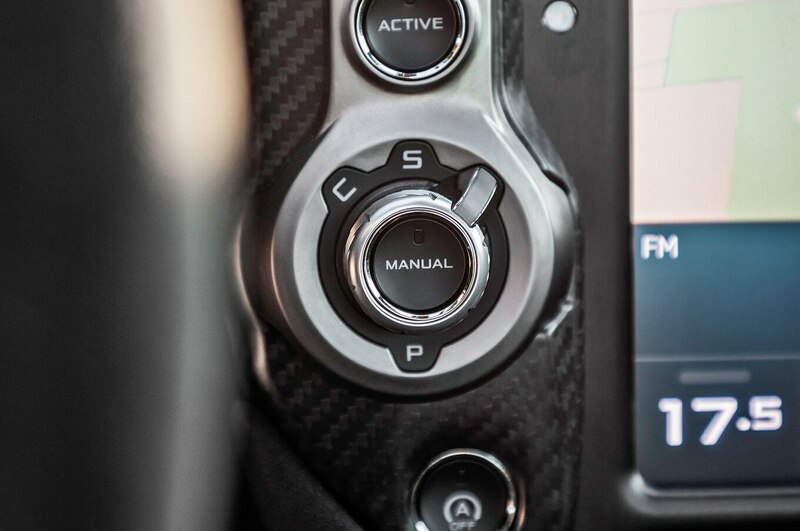 Moreover, peak torque comes way up in the rev range, between 5,500 and 6,500 rpm, whereas peak power hits a fraction of a second later at 7,000 rpm. Oompa oompa! 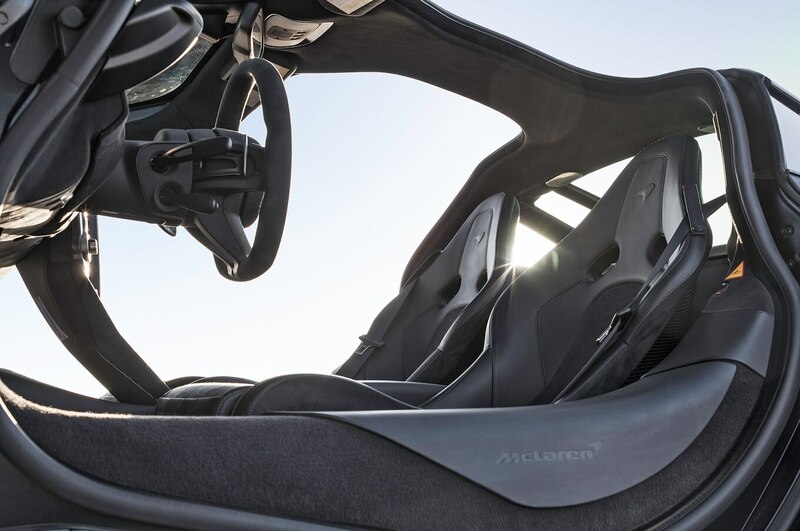 The suspension is a further evolution of McLaren’s hydraulic setup, only now there is much more communication between the variable dampers and the car’s brain via accelerometers and other fancy gizmos. 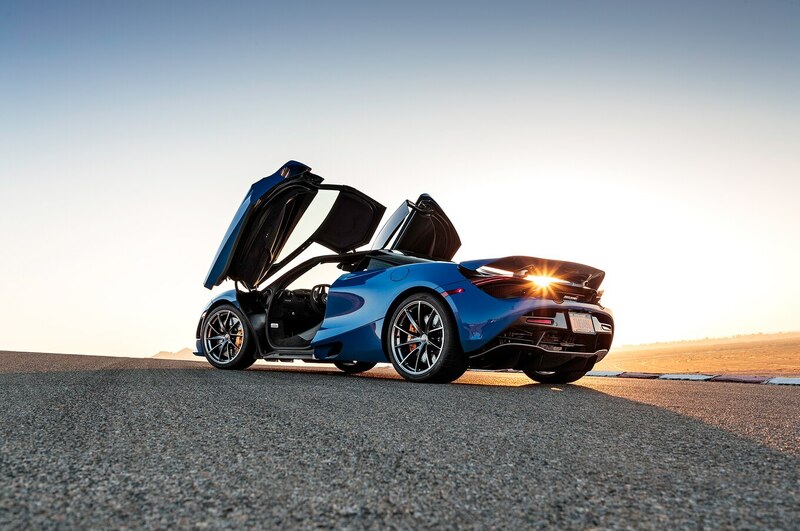 Most important, and largely due to that carbon-fiber tub, the 720S is light, clocking in at just 3,167 pounds (1,436 kg). 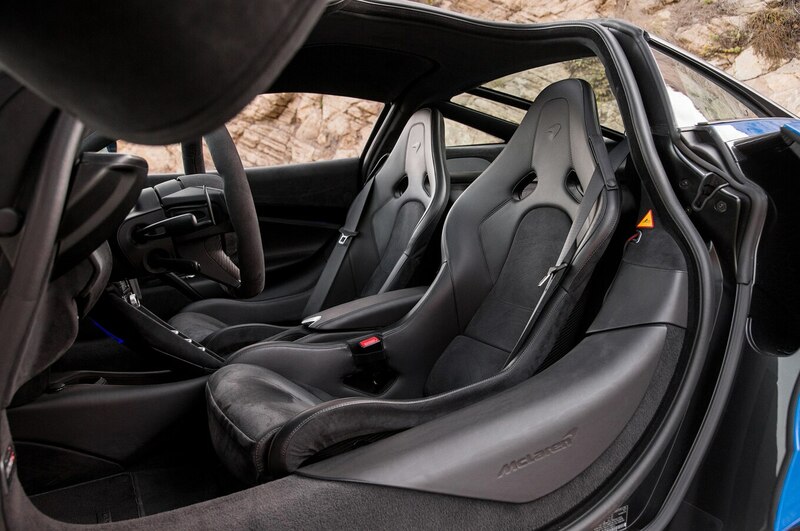 To give you some idea just how light that is these days, the similarly purposed 661-hp Ferrari 488 GTB compresses our scales with 3,412 pounds (1,548 kg). 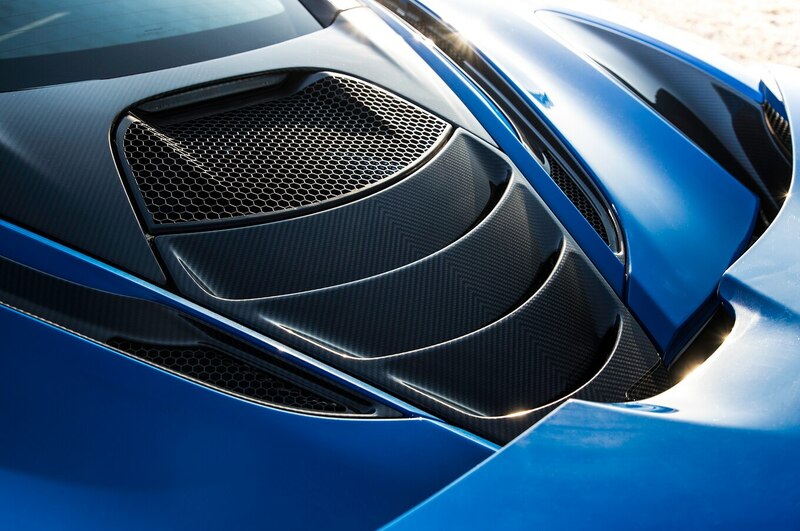 The Lamborghini Huracán? 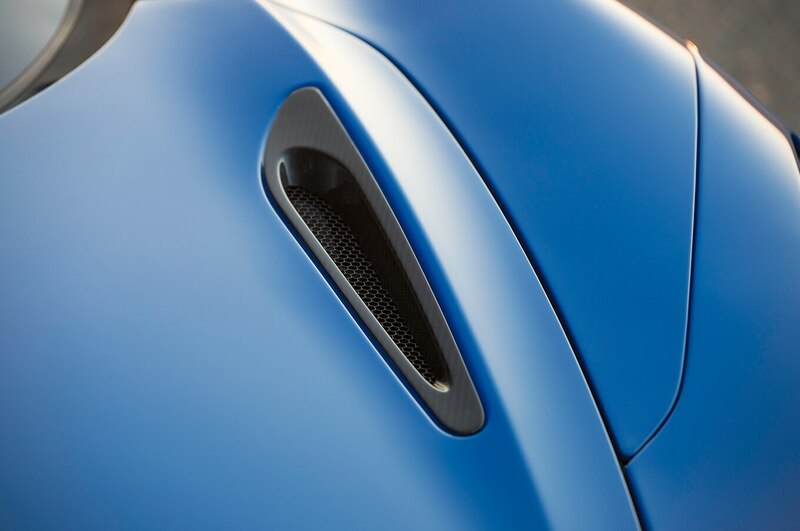 It’s at 3,419 pounds (1,550 kg) for the Euro-spec version. 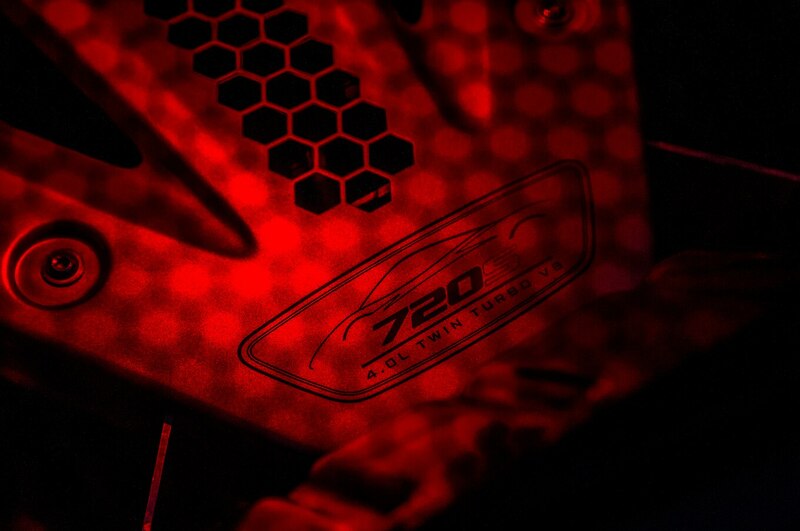 Always remember that raw power is one thing, but power to weight is everything else. 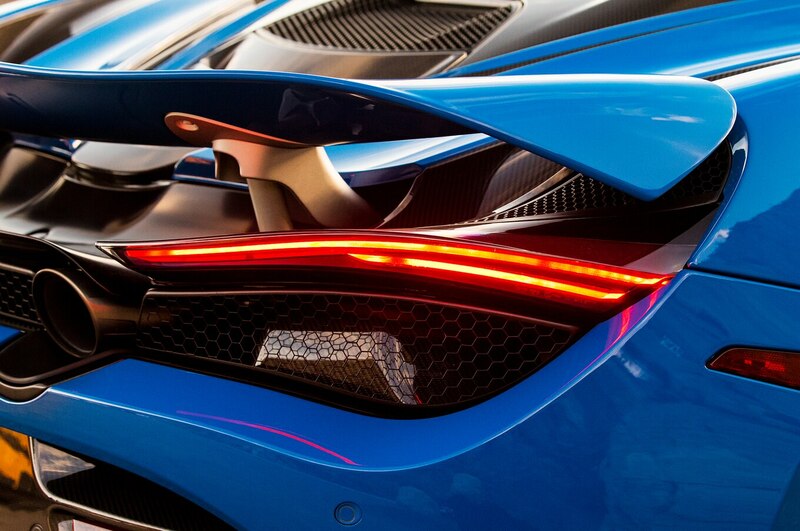 Meaning we knew going in that the newest McLaren would be quick. But friends, Romans, countrymen … not this quick! 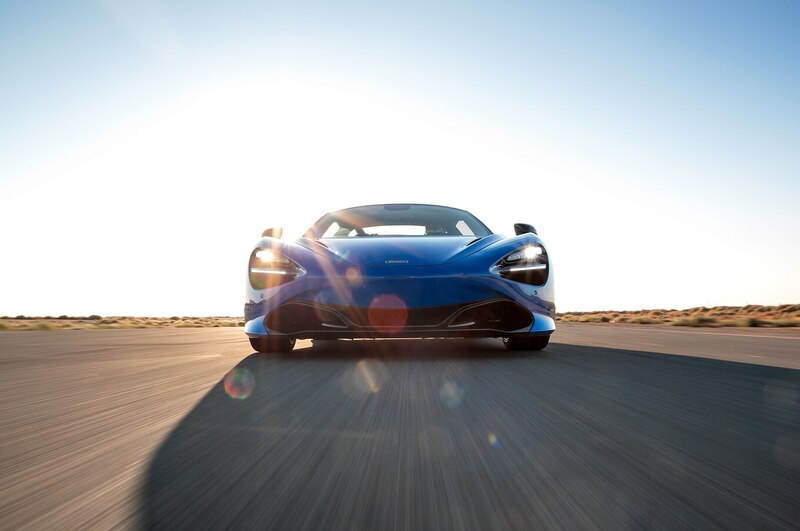 The 720S is tied for the third-quickest car we’ve tested to 60 mph. 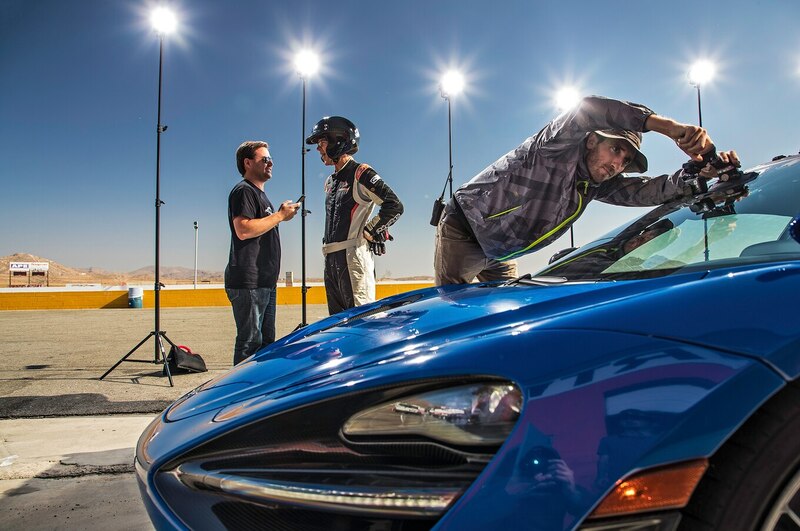 Famously, the quickest production car Motor Trend has run—the Tesla P100D Ludicrous Plus—gets it done in 2.3 seconds. 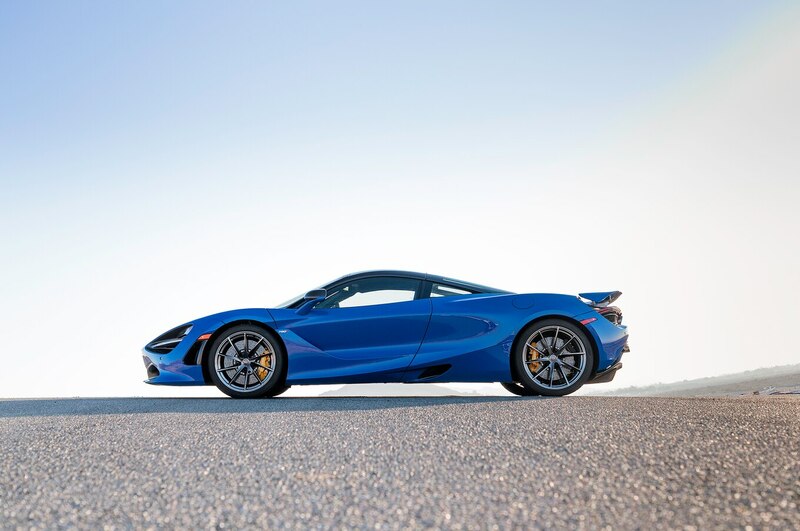 The next quickest are both hybrid hypercars, the 887-hp Porsche 918 Spyder and the 950-hp Ferrari LaFerrari, tied at 2.4 seconds, though the Ferrari’s time is suspect. 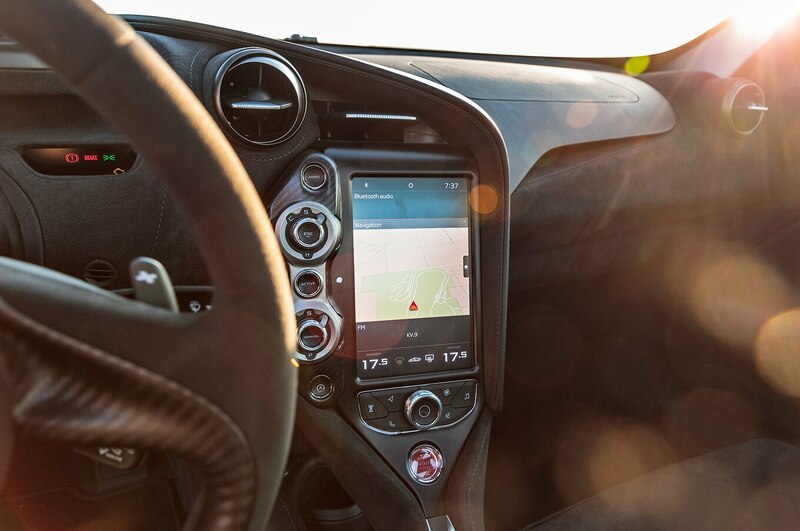 (We tested that car in Italy on the straight of Ferrari’s Fiorano test circuit, which runs slightly downhill.) 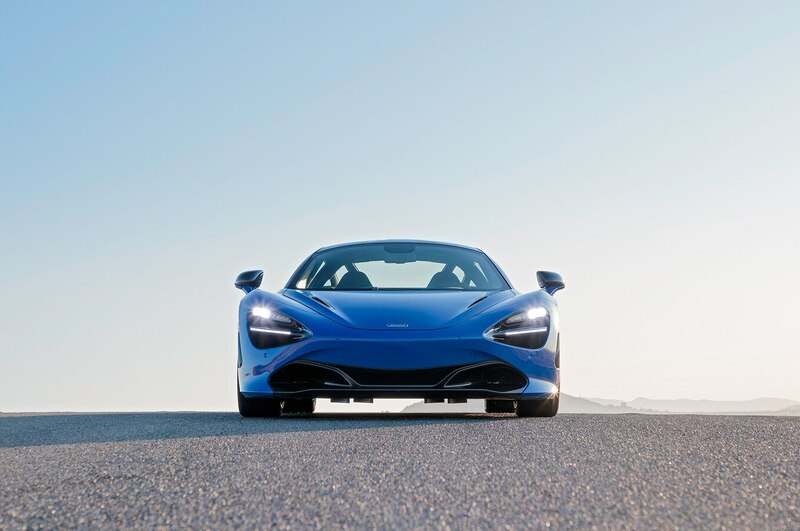 The 720S is actually tied with the current Porsche 911 Turbo S at 2.5 seconds, a car with less power but all-wheel-drive grip. 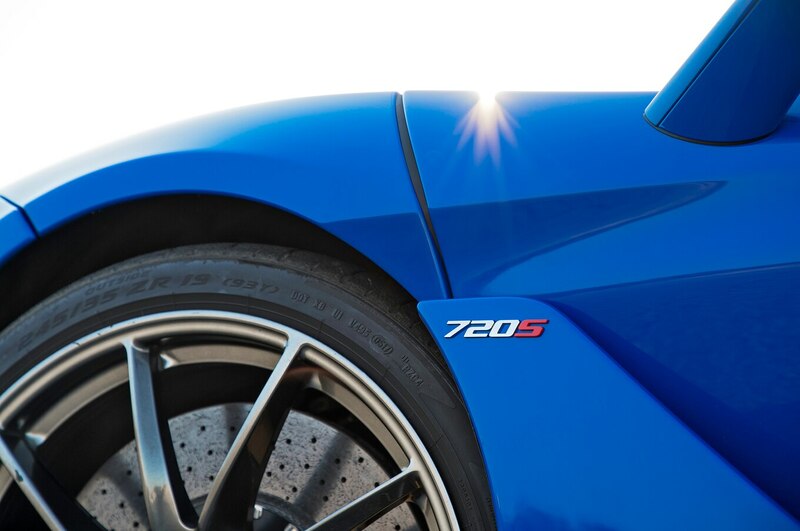 The 740-hp Lamborghini Aventador Superveloce takes 2.6 seconds to hit 60 mph. 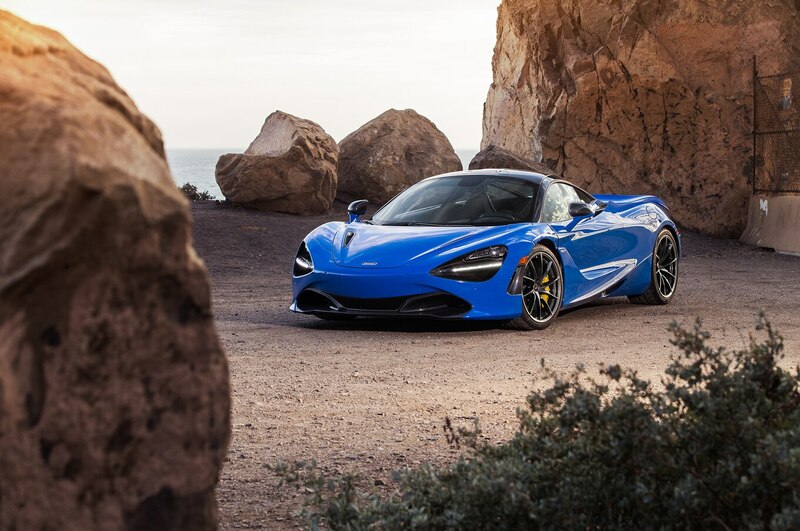 For what it’s worth, the 720S can hit 100 mph (160 km/h) in 5.3 seconds and do 0­–100–0 mph (0-160-0 km/h) in 8.8 seconds. Absurd. 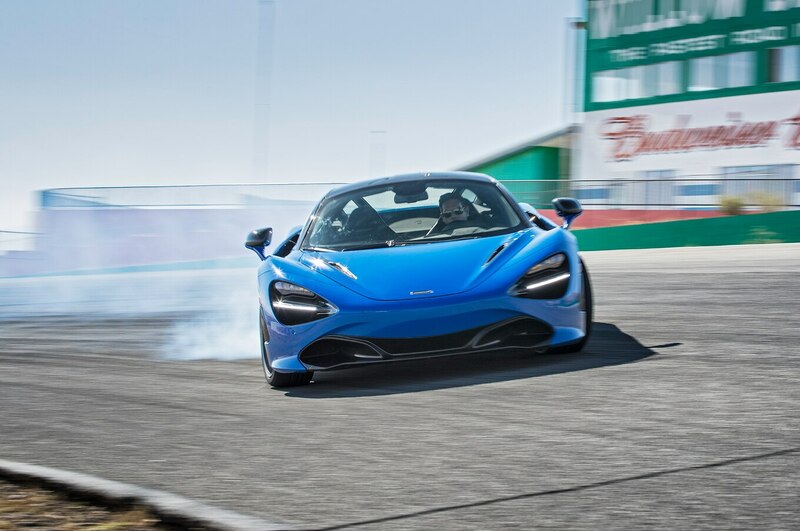 The McLaren’s quarter-mile result is likewise near chart-topping. The quickest we’ve ever seen is the LaFerrari with a 9.7-second run at 148.5 mph (239 km/h). 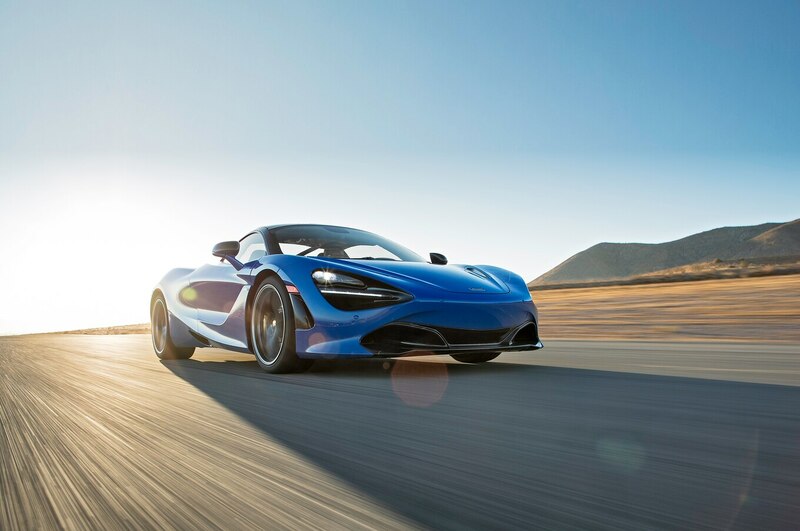 Therefore, the quickest nonasterisked quarter-mile time in our books is the 904-horsepower McLaren P1, which hits it in 9.8 seconds at 148.9 mph (239.6 km/h). 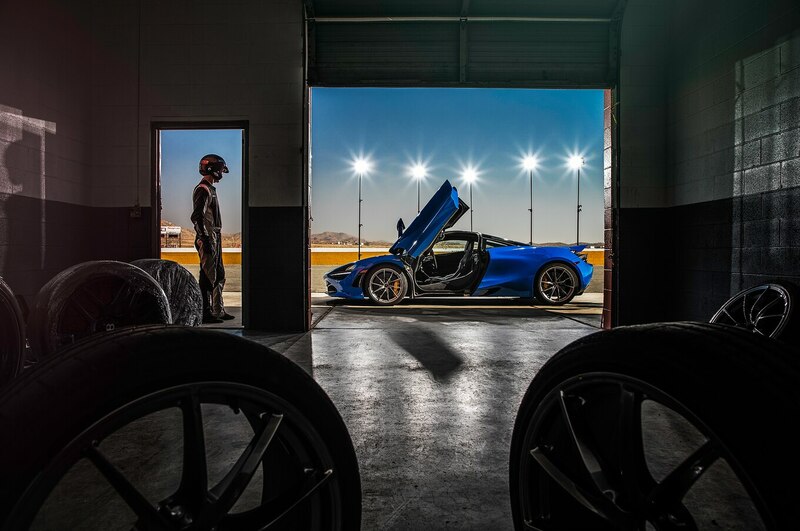 Next comes the 918 Spyder with a time of 10.0 seconds at 145.2 mph (233.7 km/h). 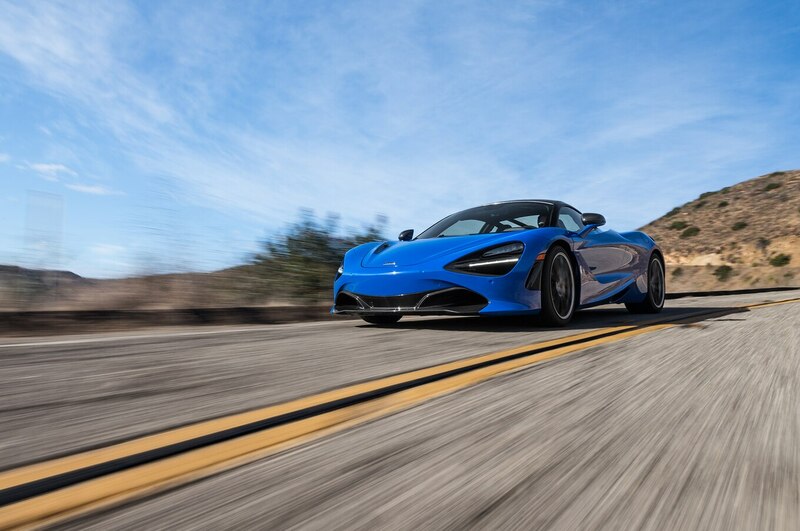 After that is—you guessed it—the 720S, ripping down the quarter mile in 10.1 seconds at 141.5 mph (227.7 km/h), making it the quickest purely gasoline-powered car we’ve ever tested. 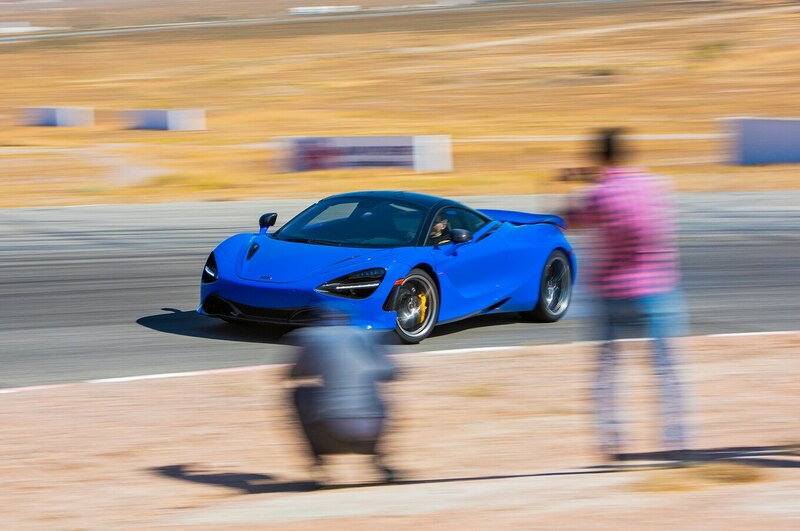 To further emphasize just how quick this blue McLaren is, the 987-hp Bugatti Veyron ran the quarter mile in 10.4 seconds at 139.9 mph (225 km/h). 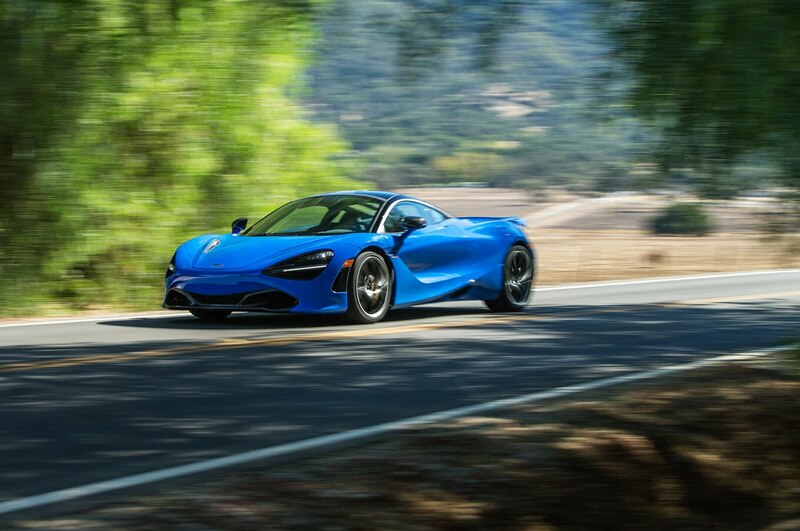 So yes, the 720S is quicker than a Veyron. Gulp. 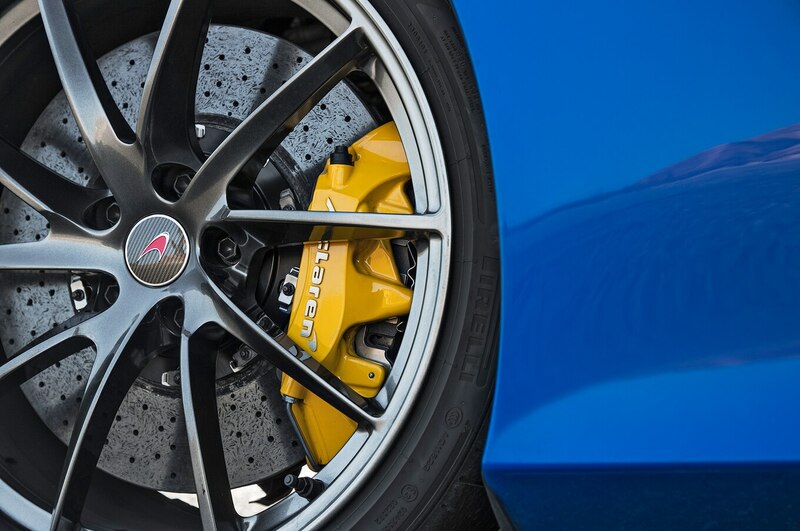 Braking is the only test metric where the 720S isn’t at the top of our charts. 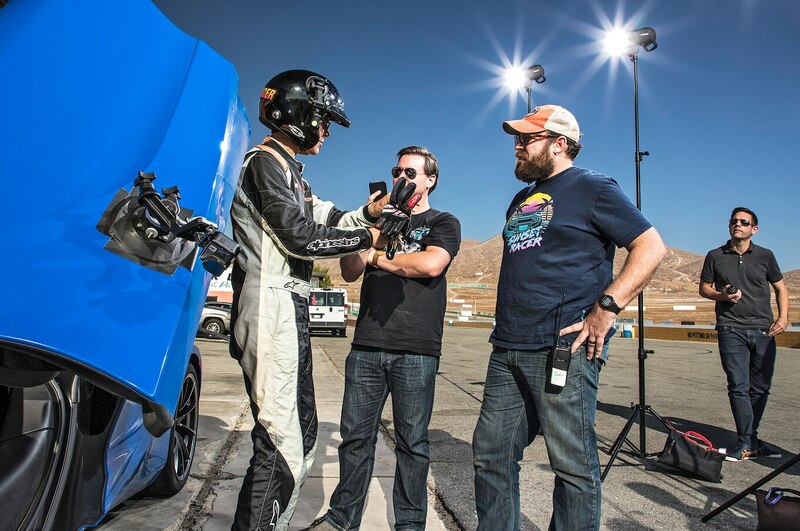 It’s still world-class, stopping from 60 mph in just 93 feet, which puts it in a five-way tie for sixth place. 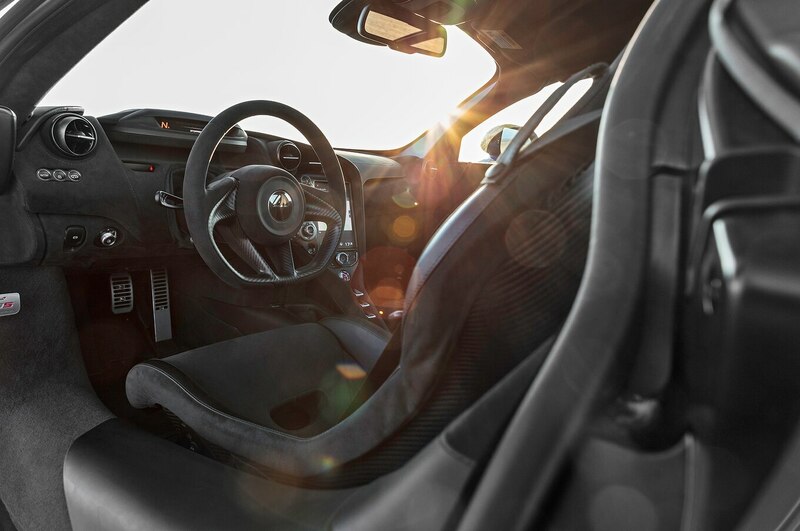 The current king is the Dodge Viper ACR, which goes 60–0 mph in just 87 feet. 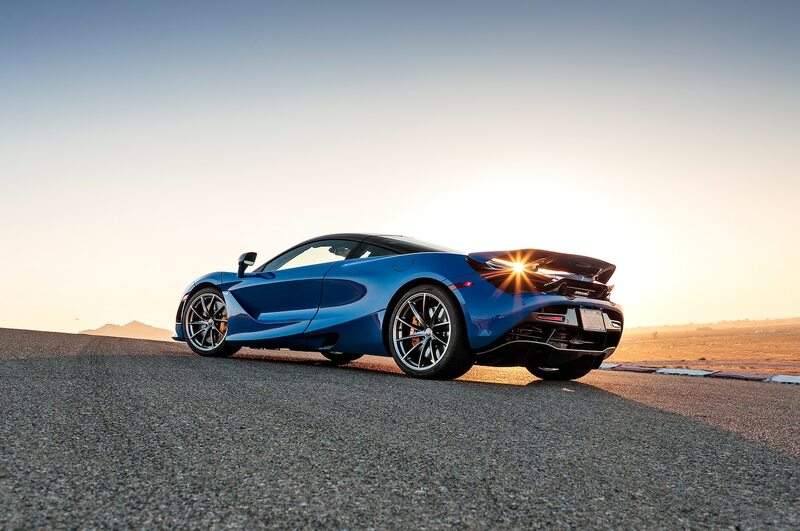 Take solace in the fact that the McLaren 720S is among only a handful of elite brakers shod in non-R-compound rubber. 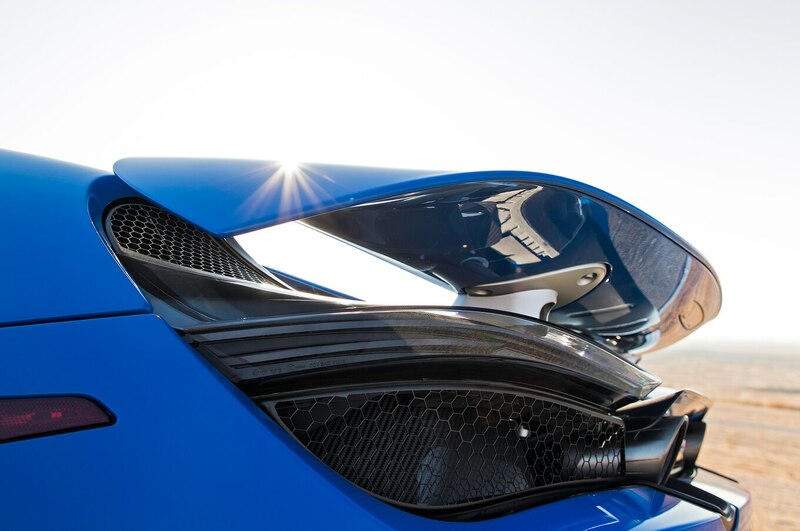 Had McLaren remembered to ship over some Pirelli Trofeo R’s, I’m sure all the numbers—not just braking—would be different. More on this later. 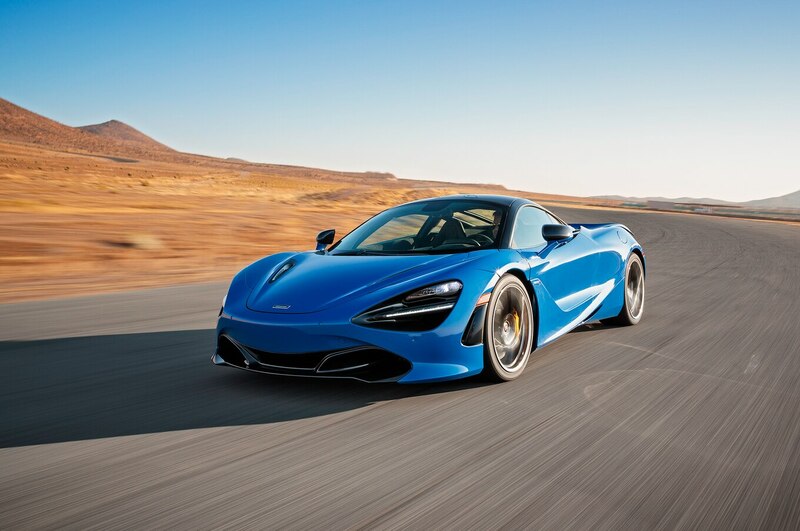 The 720S is one of three production cars to ever average higher than 1.0 g around our figure-eight course, the other two being the Corvette Z06 Z07 (1.06 g) and the Porsche 918 Spyder (1.06 g). 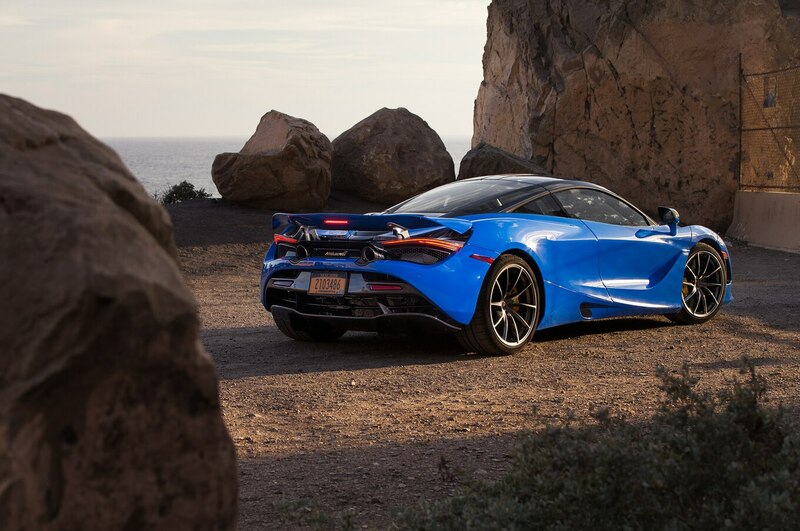 The 720S averaged 1.05 g, the second-best of all time. 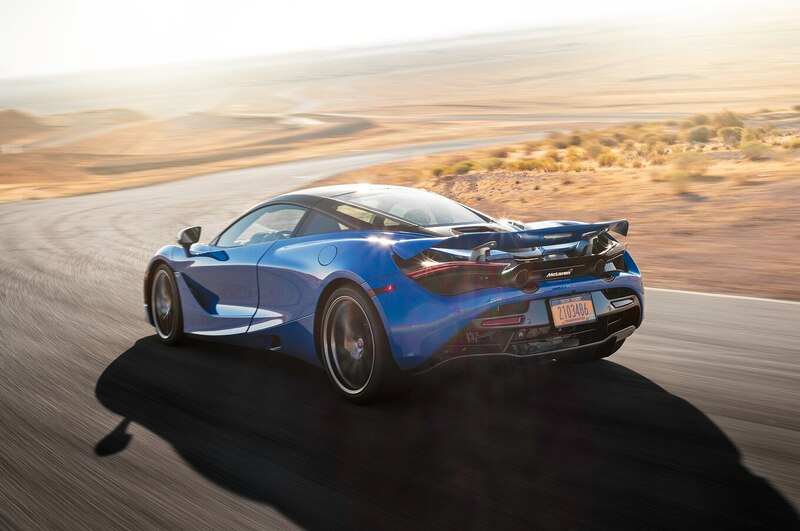 The McLaren’s max lateral acceleration is 1.09 g, among the best-gripping cars we’ve ever tested. 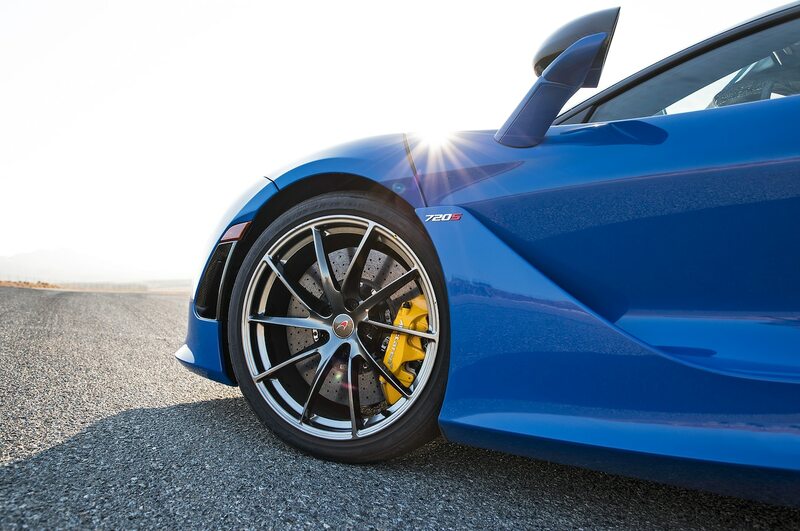 Its figure-eight time of 22.3 seconds places it in a four-way tie for second place, along with the aforementioned Z06 and Viper ACR plus the Corvette Grand Sport. Best ever? That freak, the 918 Spyder, which managed a 22.2-second lap. 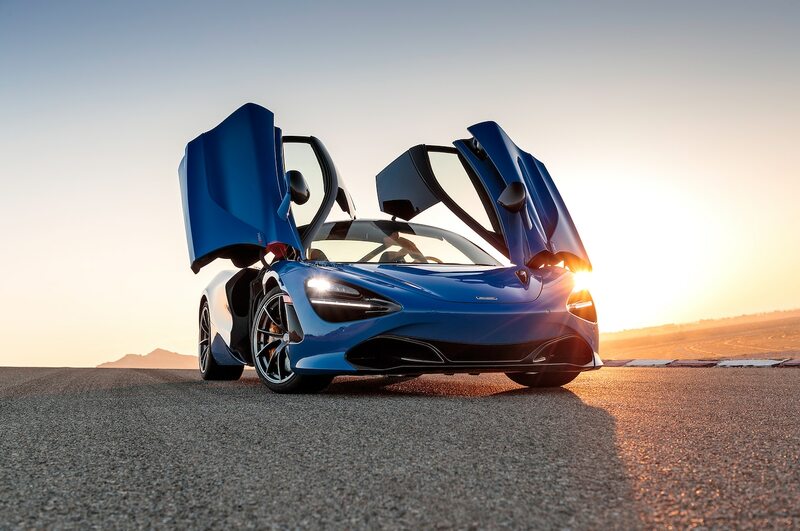 Are we impressed with the McLaren 720S yet? I concur with Scott, especially about the acceleration. I’d go so far as to use the word “terrifying,” but in a good way. 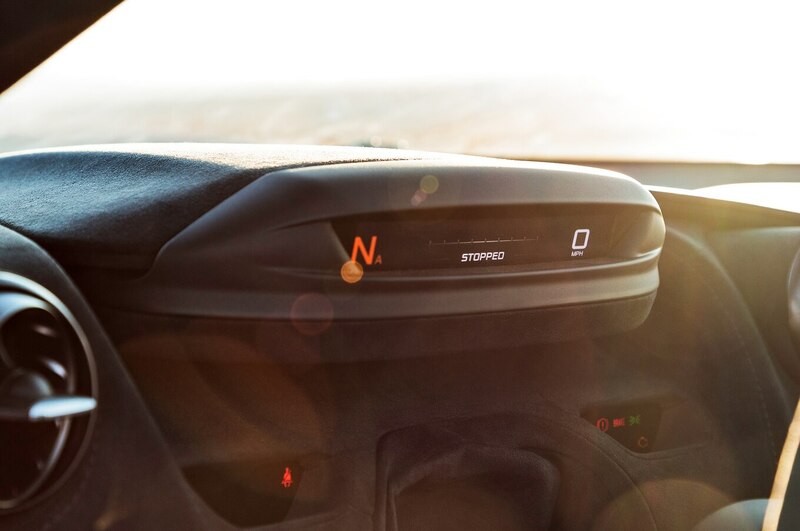 That last 20 percent of the 4.0-liter twin-turbo V-8, when it’s on full boil and all the power peaks begin happening, fills you with a kind of dread. You begin to doubt your own reflexes, your own abilities. 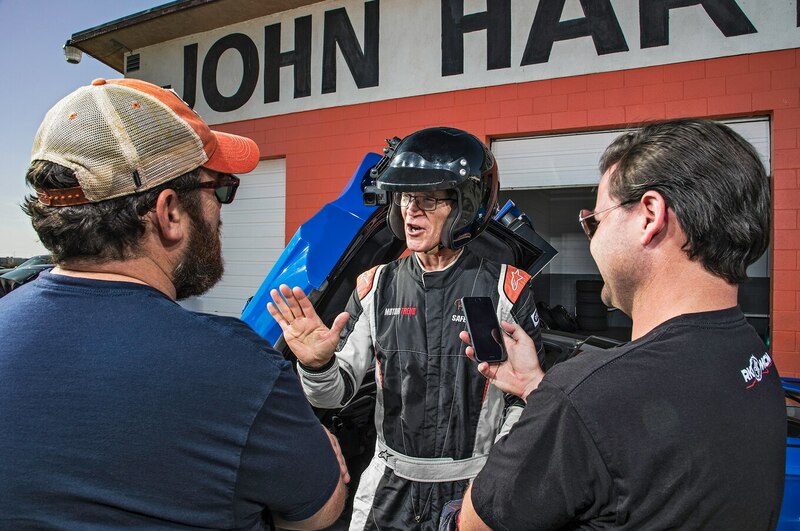 “Cars shouldn’t be this quick,” you tell yourself just prior to pulling the paddle for the next gear. “I hope I make it.” Luckily, like Scott said, the brakes are perfect, and the front end really doesn’t run out of grip. And like I said, it’s the good kind of terror. A couple of numbers for you before we get to the McLaren’s laps. A Corvette Z06 ran around Big Willow in 1:25.00. 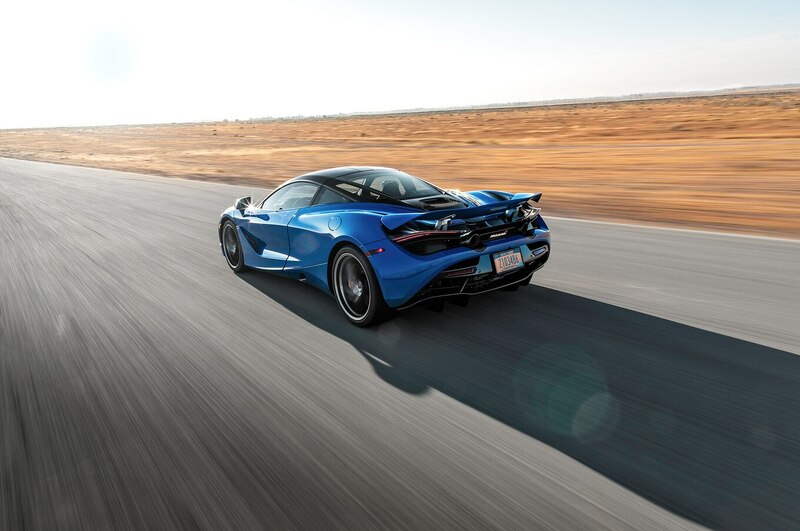 The ultra-light (2,993 pounds (1,358 kg)) McLaren 675LT managed 1:24.29, and the Porsche 918 Spyder turned in a fast lap of 1:23.54. 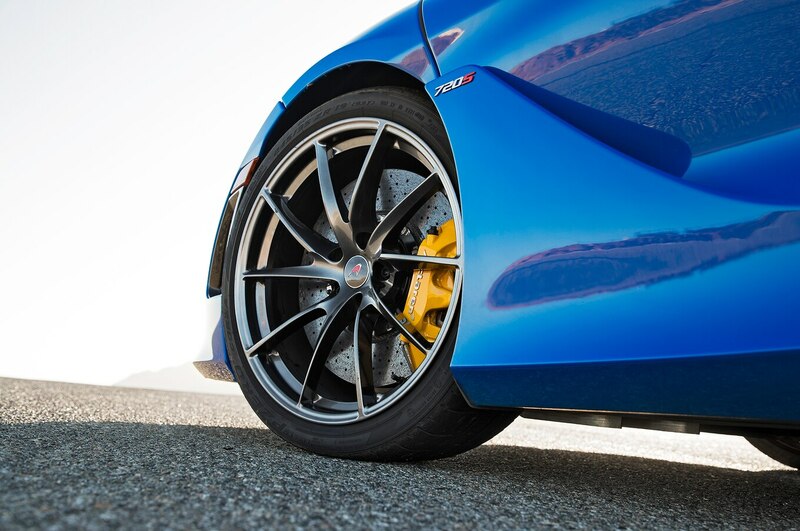 As for the 720S, remember, we’re talking about a car on street tires. 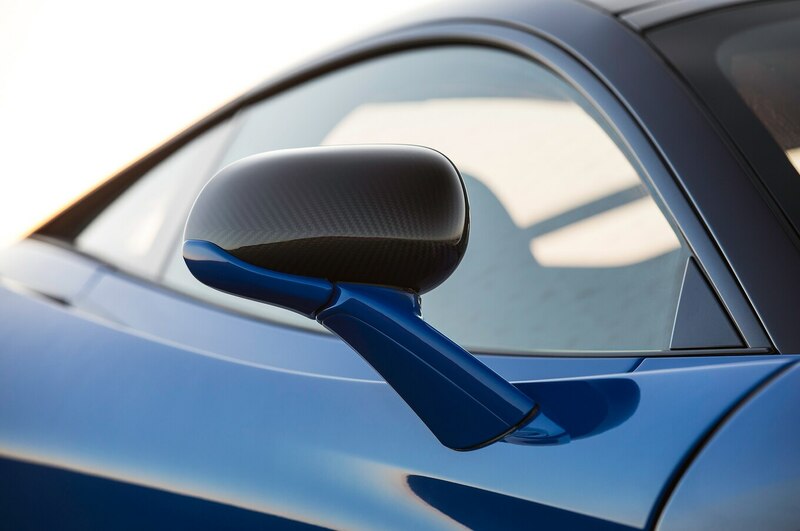 McLaren really did forget to send us a set of optional Trofeo R’s. 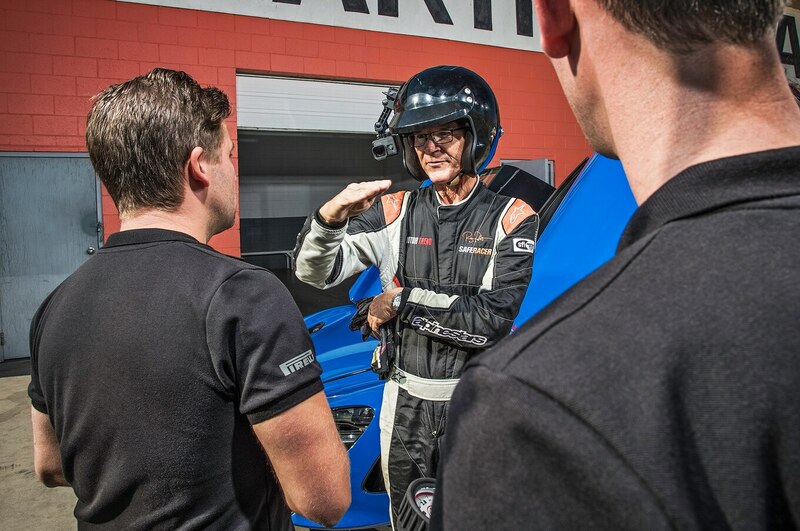 I should also point out that after his first two warm-up laps, Randy complained that the engine was “pulling power” at high rpms. 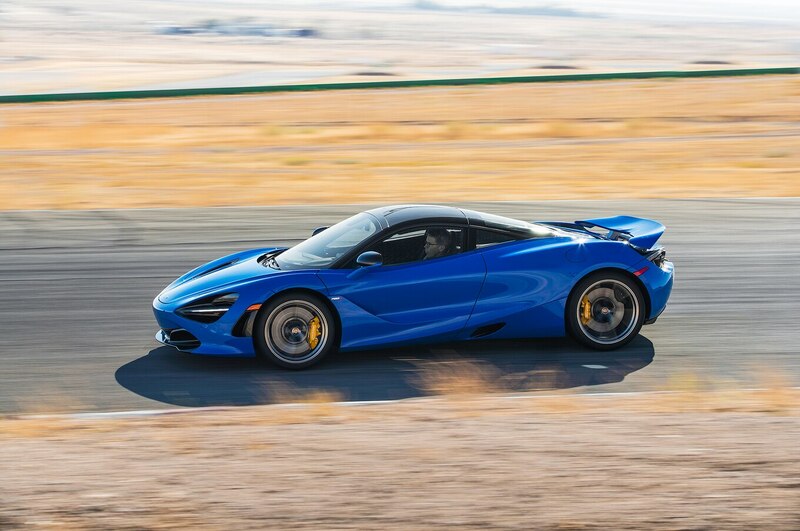 Even still, the McLaren 720S broke the 918 Spyder’s previous record on lap two with a time of 1:23.31. 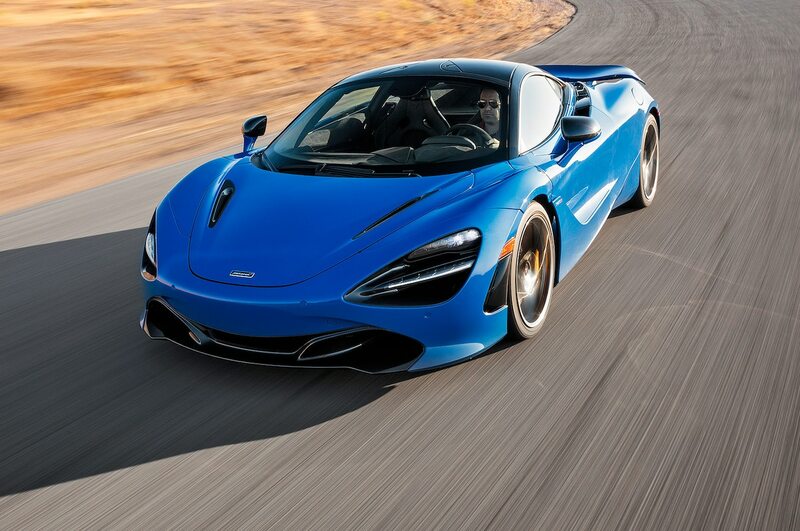 Let me restate that: It beat a near million-dollar hypercar on the warm-up lap! We looked at the GPS data traces, and sure enough on both of Big Willow’s long straights, the McLaren’s acceleration suddenly tapered off. 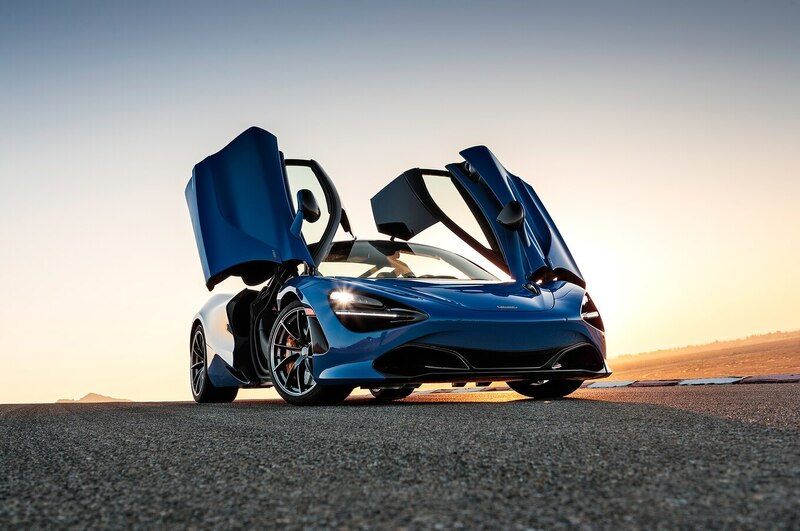 The McLaren engineer on hand theorized that because the engine is meant to run 98 octane (the U.K. equivalent of our 93 octane) to prevent knock, the engine was retarding the timing, aka pulling power. Solution: We splashed in five gallons of 101 octane in an attempt to get the engine working properly. That did the trick. 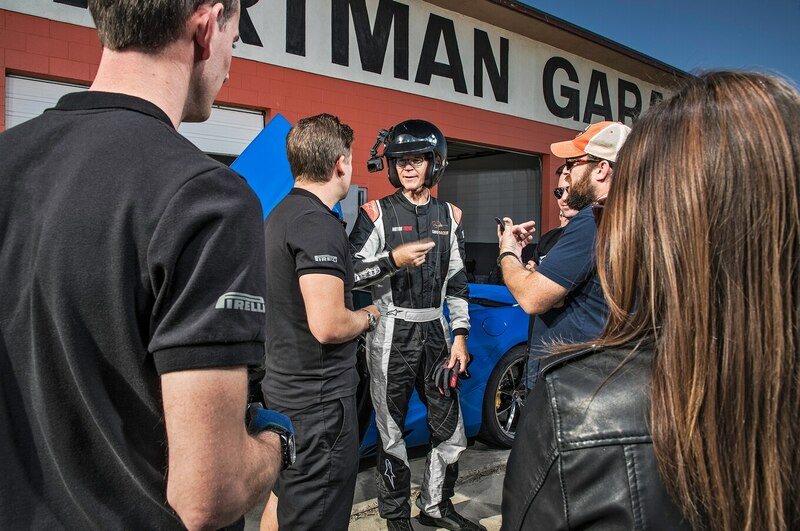 Now before you start firing off the angry “McLaren cheated!” emails, please note that the Nissan GT-R also refuses to run properly on 91 octane, and for years Nissan has been supplying us GT-Rs with a case of octane booster in the trunk. 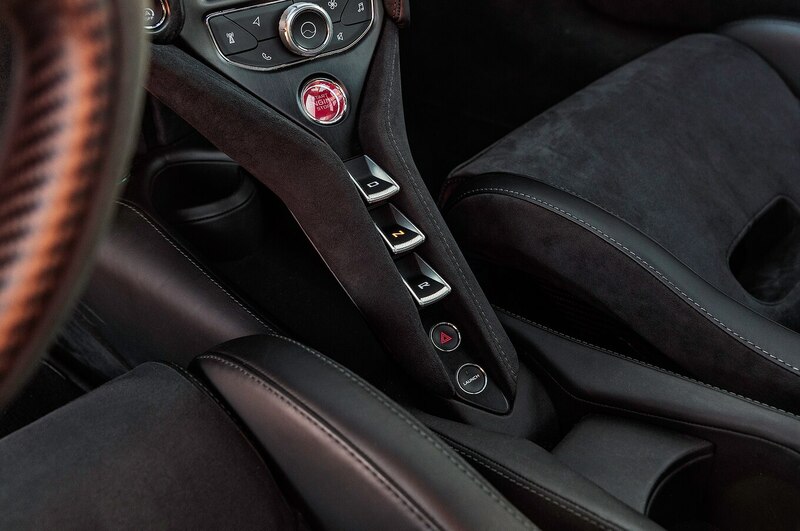 If you look at a modern Porsche’s owners’ manual, it states that performance is reduced on 91 octane and that full performance is only available with 93. That’s just how (some) cars are. I’d also like to point out that nearly ever racetrack sells race fuel on site and that $100 USD worth of the good stuff isn’t an impediment to people who buy cars with $288,845 USD (base) price tags. Moreover, if Willow Springs were located in practically any other state, the Chevron would have been pumping 93 octane, not 91. Were we scientific with the fuel mixture? In other words, did the five gallons of 101 result in a perfect 93 octane rating? No. The mixture might have even been 94 or 95. Could have also been 92.5. 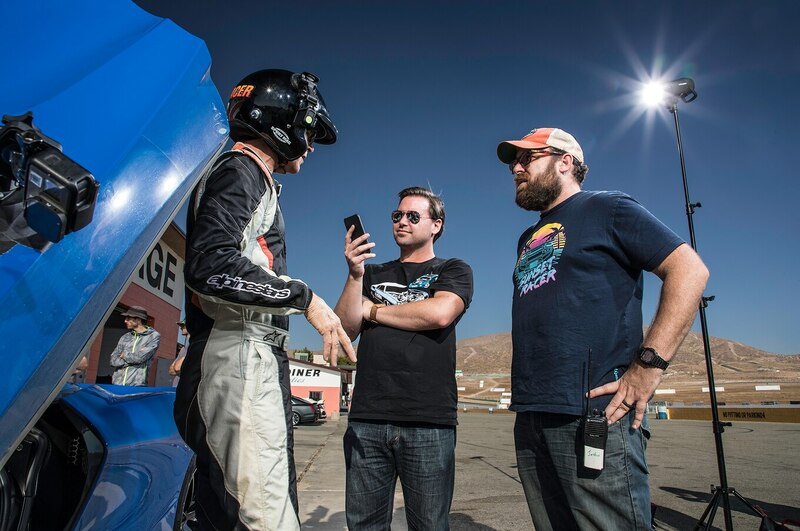 We were in the heat of the moment and just trying to make the car run properly. 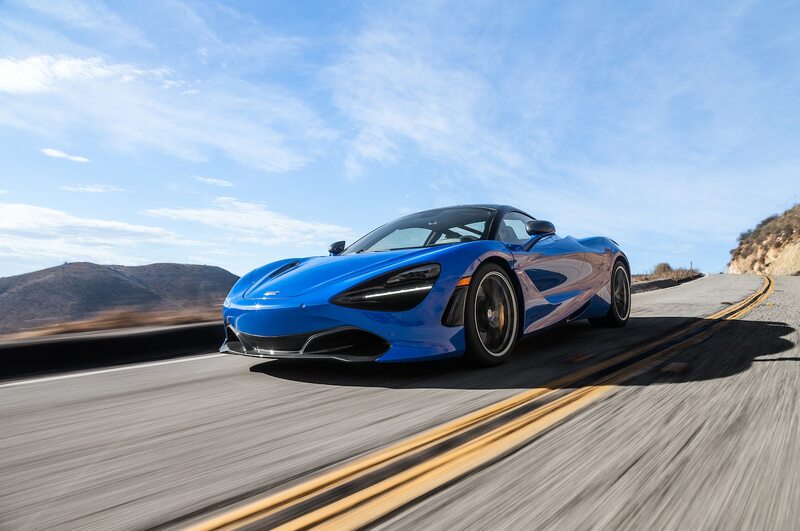 If you’re still upset, then go ahead think of 1:23.31 as the fast lap, and take solace in the fact that the McLaren 720S beat the Porsche 918 Spyder on street tires, with a misfiring engine, during Randy’s warm-up laps. What a beast. 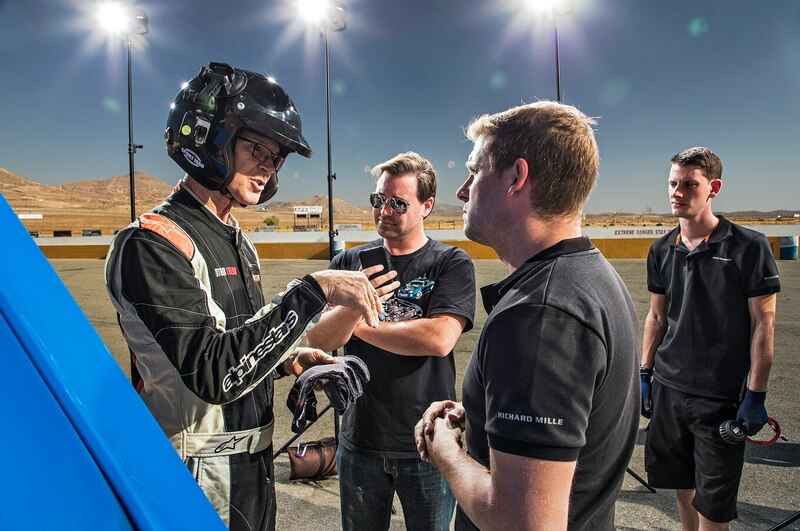 For the rest of us, Randy eventually managed a 1:21.75, besting the 918 Spyder by 1.79 seconds. 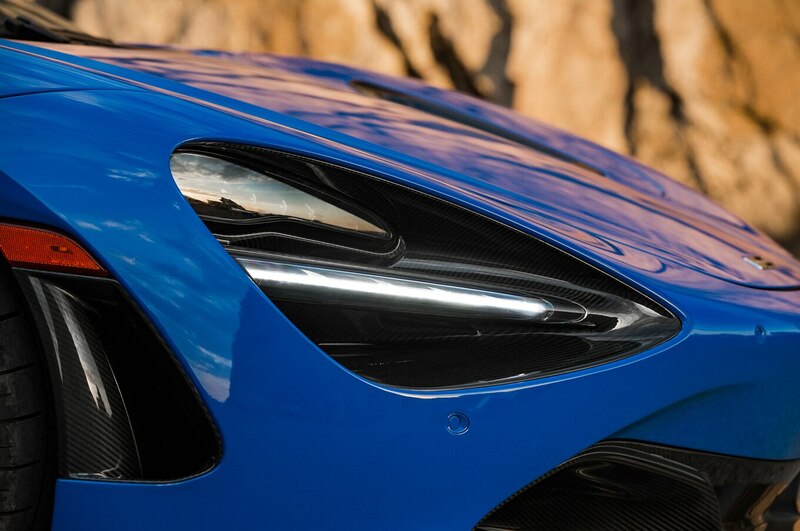 Can you imagine what the 720S would have done with R-compound rubber? 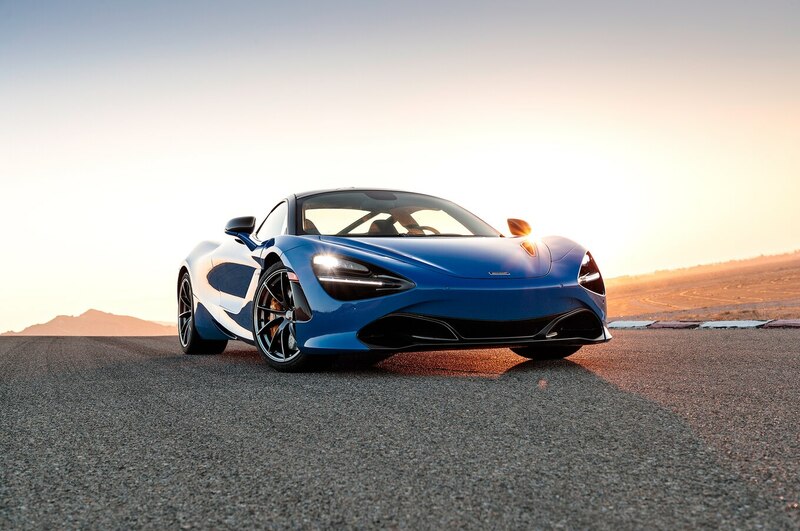 We can, which is why we’ve asked McLaren to let us have the car back sometime in the not-too-distant future with the Trofeo R’s that they left in Woking. 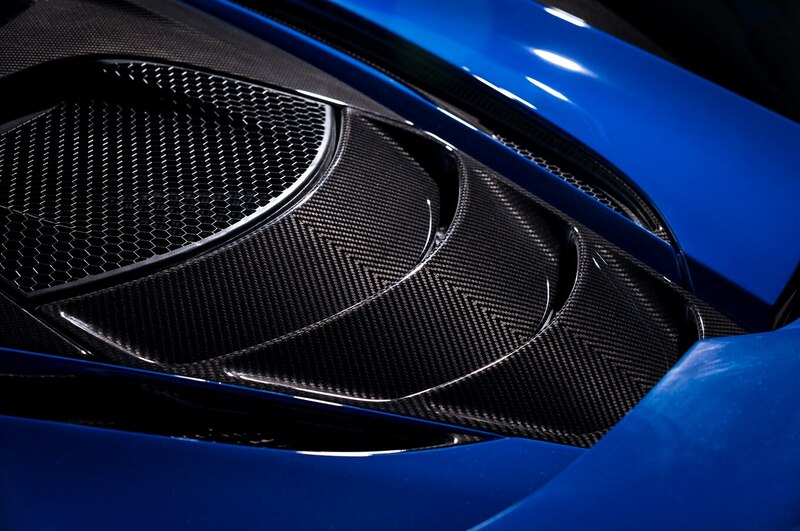 McLaren for its part seems keen. 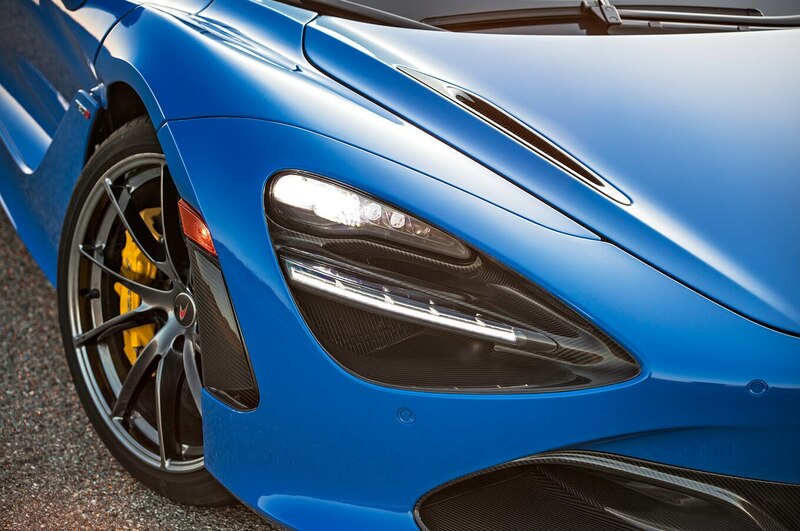 Until then, rest easy in the knowledge that you can purchase an honest-to-goodness hypercar at low, low supercar prices. Thankfully, the world has gone mad.